This delicate lace seems to be woven by fairies and elves. What grandmothers once produced for chest and dresser now takes on a new look. 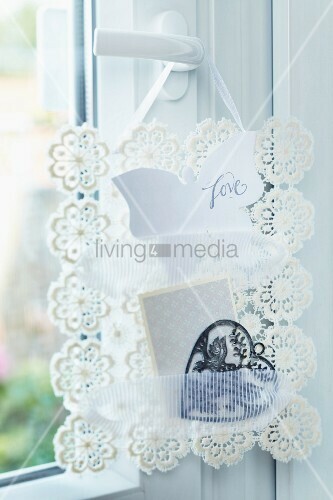 As a napkin ring, jewellery holder or hardened into a shell - delicate lace doilies turn into exciting accessories.